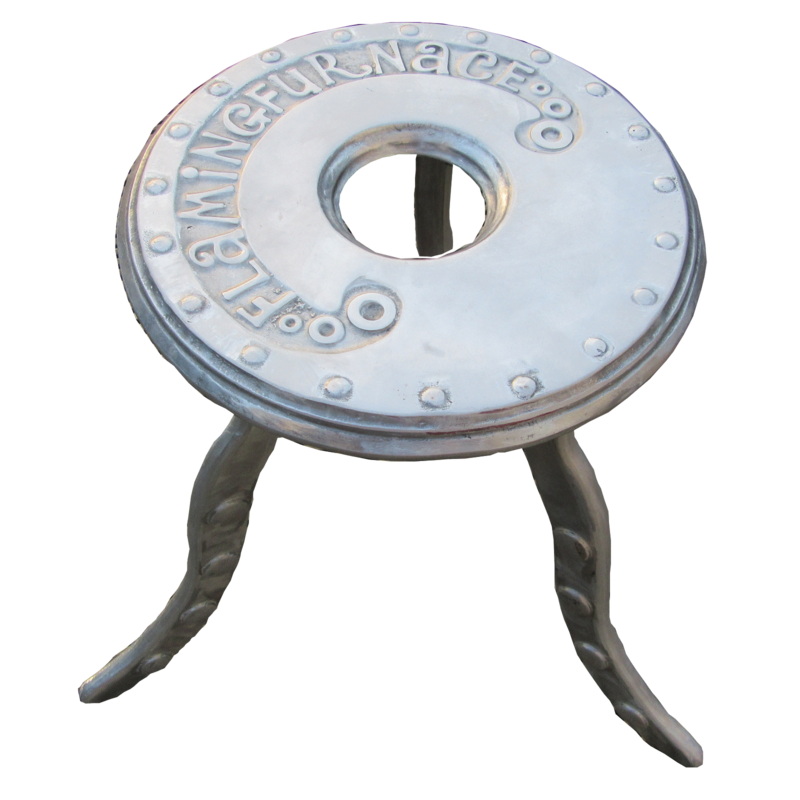 Welcome to my FlamingFurnace, backyard metal casting blog. Hi everyone, I mainly focus on metal casting projects using recycled ♻ scrap aluminum and other accessories in the pattern creations. Aluminum is a very versatile material and I would like to promote the awareness of aluminum recycling via different metal casting projects. Feel free to check my YouTube channel where I provide detailed explanations, tips & tutorials for best backyard aluminum casting methods, homemade foundry equipment & of course the importance of safety when working with molten aluminum. 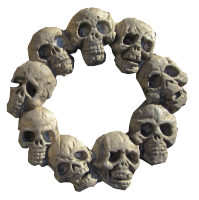 In this video/tutorial I created a solid aluminum wreath skulls for Halloween, I used the Lost Foam casting method with my home made furnace to make the aluminum casting, the process is super simple and the preparation of the casting mold is very quick. As always I am recycling ♻ old aluminum scrap into something new, most important is promoting the recycling awareness by providing different ideas for projects. In this video I have created a solid aluminum ghost mask for Halloween and a small mummy statue, I started with a plastic ghost mask like the one in the horror movie Scream, I created the pattern using plaster and varnish (to prevent the sand from sticking and to get better casting results). The solid aluminum ghost mask turned out amazing. Spike ball for zombie apocalypse - In this video I will show you the stages of how I made an aluminum spike ball using lost foam casting method. The aluminum casting turned out very well and surprisingly ;-), the handle is made from scrap metal such as bolt, nuts metal loop and old fishing chain. This is a short video of my lost foam aluminum casting experiment, I just glued some art and craft Styrofoam ball I found in a local craft shop. This silly project gave me idea for my next video - coming up soon demonstrating how to cast solid aluminum medieval spiked ball. As always all my metal casting projects are made from recycled aluminum, the main purpose of my videos is to increase recycling awareness. I hope you enjoy the video feel free to like subscribe or drop me a comment. • Always wear appropriate safety gear when handling molten metal. • Make sure you have adequate skills and experience to construct the project. • These projects are not intended for use by children. • Wear appropriate safety gear fire retardant clothing, face shield, furnace gloves,safety toe shoes and use caution. • Do not melt aluminum cans. Can metal is covered in vinyl to protect the can from the contents. • Never pour any liquid on molten metal. It is your responsibility to make sure that your activities comply with applicable laws, safety. Use of project, suggestions from this blog, is at your own risk. Use of the final product resulting from the project is at your own risk. Flaming Furnace blog disclaims all responsibility for any resulting damage, or expense. Any attempted to reproduce projects from this web site will be on the user responsibility. Copyright www.flamingfurnace.com © 2010-2019 All Rights Reserved.. Powered by Blogger.